Sunday was interesting, relaxing and introspective. Gardening has always been an activity that brings me great joy and inner peace. 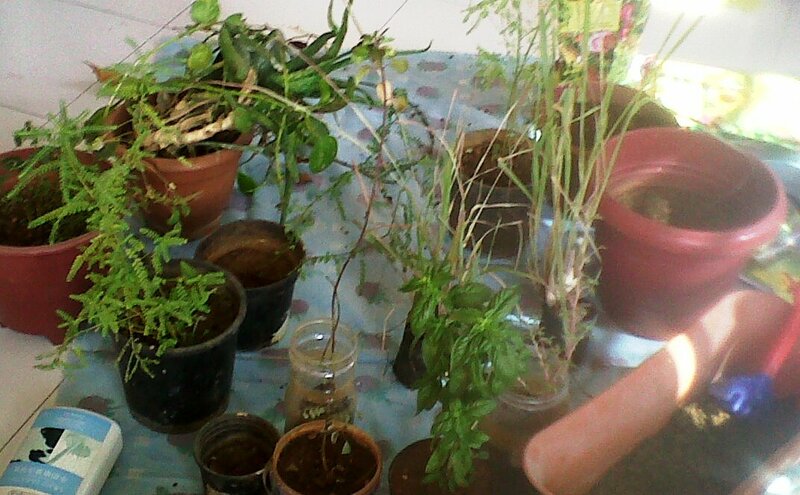 I re potted some plants that had to be shifted to bigger pots. The rest, I dug up the soil around and loosened the surface, removed clumps of soil and watered where required. I felt proud to see the growth and small stems on the path of flowering and in due course of time – vegetables. I thought to myself, isn’t this how the journey of our life progresses too. We remove issues that are not required in our lives. We dig up certain past instances, so that we can work them out and let them go. Then we add in our love, faith, confidence and belief which work to give better results. Finally we water it with our intent, dedication and positivity. As my hands worked the soil, I settled in a comfortable inner space – A space of peace and contentment. Gardening helps to alleviate feelings of agitation, stress and other such emotions. It is therapeutic and instils a sense of serenity. My Sunday ended with a feeling of all being well within and in my external world.